A new thriller from the Edgar-nominated author of Trust No One and Joe Victim about a blind teenager who receives a corneal donation and begins to see and feel memories from their previous owner—a homicide detective who was also his father. Joshua is convinced there is a family curse. It’s taken loved ones from him, it’s robbed him of his eyesight, and it’s the reason why his father is killed while investigating the homicide of a young woman. Joshua is handed an opportunity he can’t refuse: an operation that will allow him to see the world through his father’s eyes. As Joshua navigates a world of sight, he gets glimpses of what these eyes might have witnessed in their previous life. What exactly was his dad up to in his role as a police officer? There are consequences to the secret life his father was living, including the wrath of a man hell bent on killing, a man who is drawing closer and closer to Joshua. 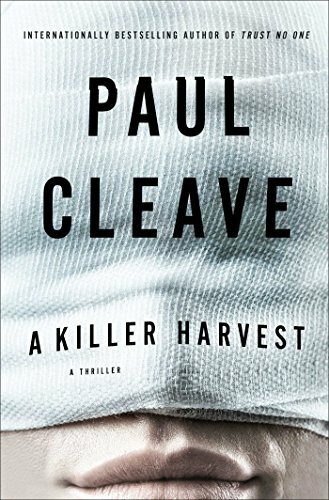 Joshua soon discovers a world darker than the one he has emerged from… Thriller connoisseur Paul Cleave is back with another riveting story of hidden secrets and unspeakable horrors that will keep you guessing until the very last page.